Fitness and Sport Associations Get Integrated Booking System and App from AccelerandE to easily schedule passes and share it with their customers, via the Booklet365 Add-In for Microsoft Office 365. AccelerandE, the startup and innovation accelerator, today announces availability of its Booklet365 solution in Microsoft Office 365 to allow fitness and sport organizations to easily schedule passes and share it with their customers. Creation and management of fitness schedules and communication with customers is a challenging task for sport and fitness associations, particularly for smaller ones. Booklet365 solves this problem by allowing organizations to create and manage their schedule via the Office 365 calendar, and allow its members to book their passes via the Booklet365 app. Organizations install the Booklet365 add-in directly from the Office Store to get started, and they add events and passes directly in the Microsoft Outlook 365 calendar. Members of the organization will be able to view the schedule and book passes from the free Booklet365 app. “Booklet365's support for Office 365 helps our joint customers build business solutions and empower fitness and sport organizations to create and manage schedules with ease," said Rob Howard, director, Office 365 Ecosystem, Microsoft. AccelerandE is an idea generator and think tank focused on designing and defining the future. Office 365 is cloud-based productivity, powered by Microsoft Corp. It brings enterprise-grade services to organizations of all sizes, from online meetings to sharing documents to business-class email. 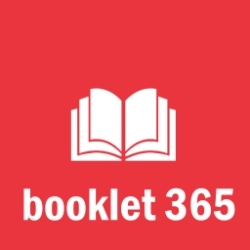 Note to editors: If you are interested in viewing additional information on Booklet365, please visit http://booklet365.com, or on AccelerandE http://accelerande.com.